The Arcade Library is now open. 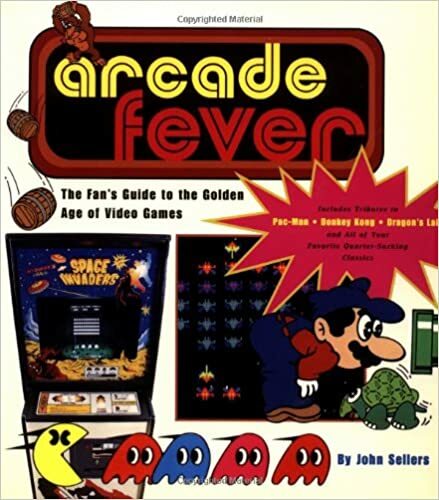 Just as a standard library has tons of manuals, instruction files, stories and picture books, Our Arcade Library has the same. Welcome to the "reading" part of our hobby. Read Any Good Books (or seen a good movie) ? 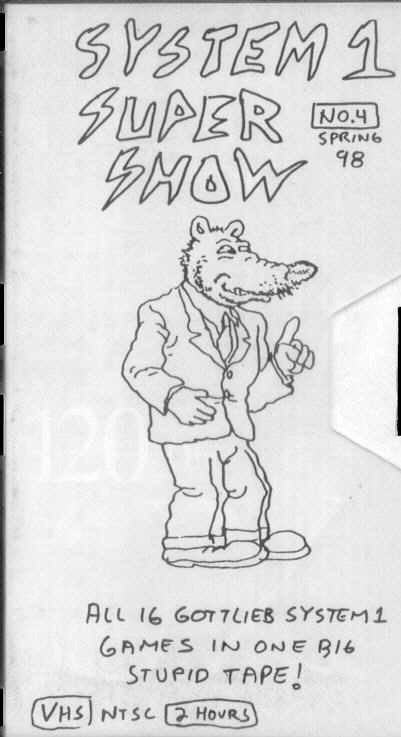 This Old Pinball Tape one! Meet Shaggy and Norm. These two bozos will show you how to fix your old pinball machine to make it look and act like new. 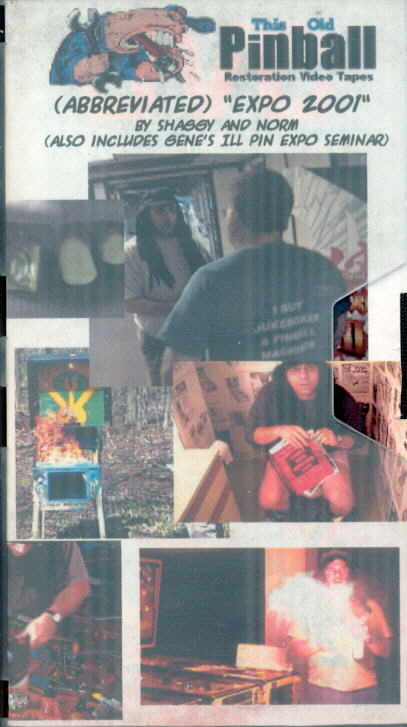 In this, their primer tape, the two go over electromechanical machines from soup to nuts. 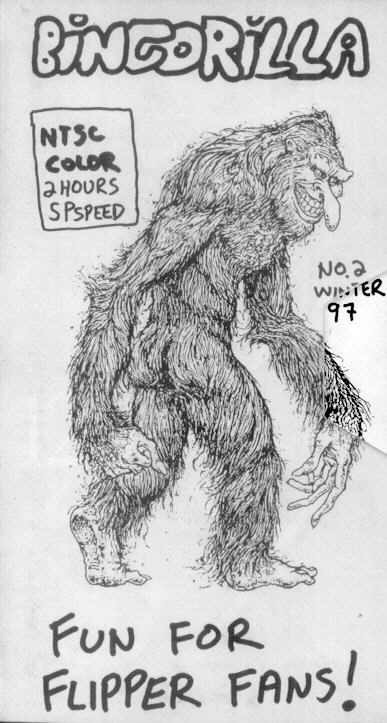 Although the film works is amateur, the delivery, humor, tip and tricks is vital. You can't beet the price too. 6$ is all it cost for any tape in the series. I must get for all into amusement games! I got mine Here! Tape 2 of This old Pinball is just as good as tape One. This time, the dynamic duo, take at a baseball game and give the whole tape a baseball flavor. Another good two hour tape of info and tips with Norm hamming it up in the background. I got mine Here! 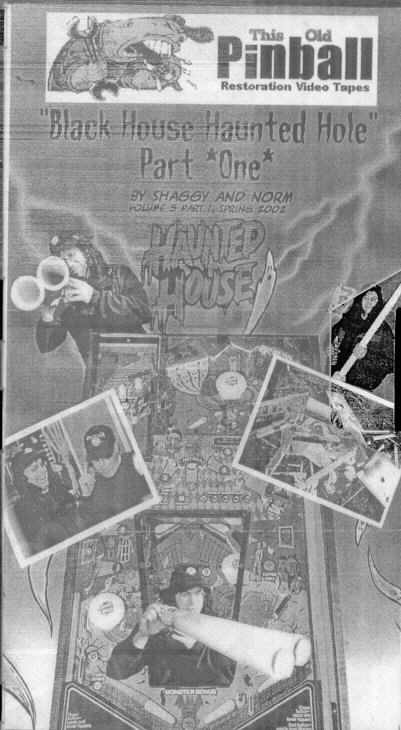 This Old Pinball Tape #3 "Lost in the Zone" is Norm and Shaggy's third installment in the repair and maintenance aspect of Pin games. Shaggy goes over the dreaded Clock in the TZ and gives a an overall. 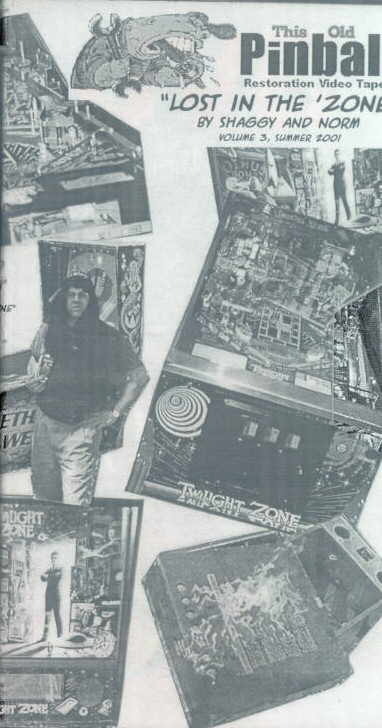 I really cant say enough on the help these tape could be to anyone collecting pin games. Even if you don't own a TZ, the tips on all these tapes cant be missed.. The camera work and cinematography is getting better to! 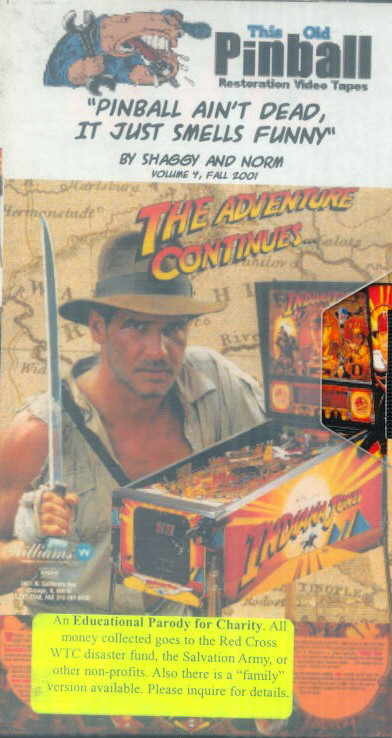 Tape 4 of this old Pinball goes over the Indiana Jones Pin. Another great tape with ideas on pin repair. Littered with clips of the IJ movies to break up Norms bad jokes, you can find out why you would ever want to take a blowtorch to a pinball part! That's right, get this tape and you will see why you would want to torch parts as a repair. I got mine Here! The Black House / Haunted Hole tapes! An in depth look at both these games. After watching this 2 part set, I actually want a Black Hole now... Or do I want a Black House? Here! Part 2 of this detailed look at bullet proofing system one games. Click Here! to get one yourself! 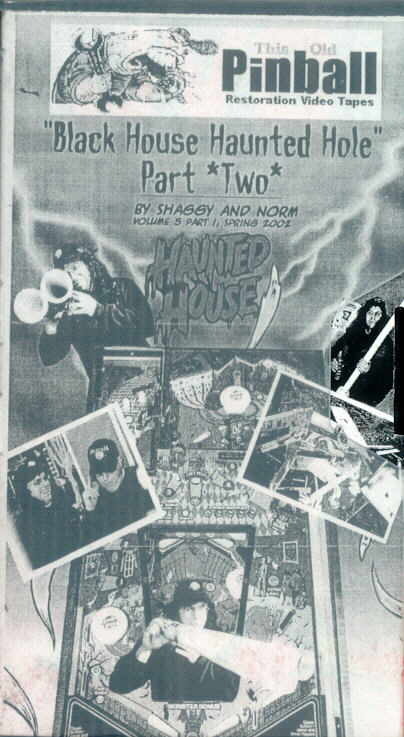 Shaggy and Norm hit the auction in the Expo tape and point out the good and bad of the auction scene. 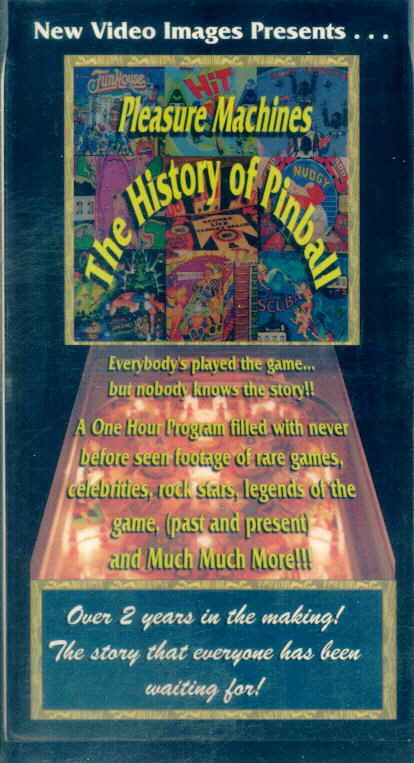 Followed by Gene Cunningham's "state of the union address" on the status of Illinois pinball. Get yours today Here! Pingame Gerbil Tour the world's largest pinball collection. 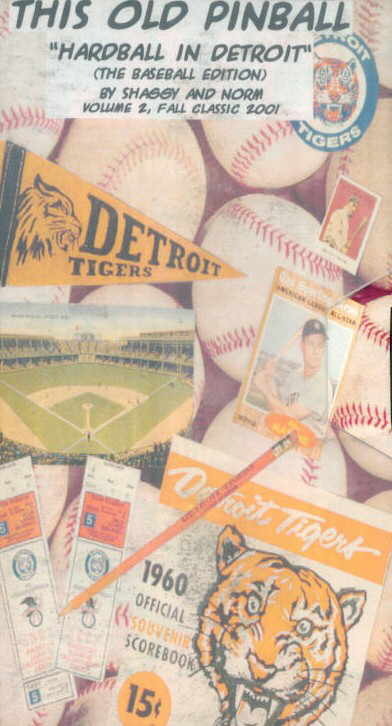 Lots of tips & history Get yours today Here! System 1 Super Show All sixteen Gottlieb System 1 games in detail, This is most likely, my favorite taps to date, as good working System one games are harder to find Get your Here! Replay Magazine has been around for some time helping route operators run a successful business. 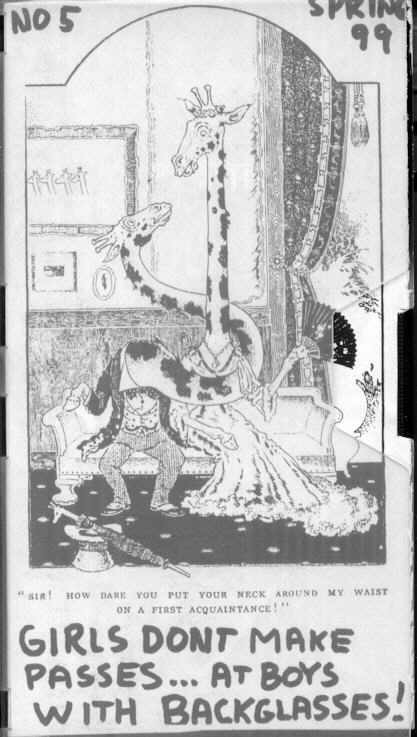 Although the collector will find some of the information limited in this monthly rag, I must toss in my recommendation for the many pages in the back with ads and listing for auctions. But see yourself by seeing their web page or click on the Magazine to the left to jump to the web edition of Replays latest issue. 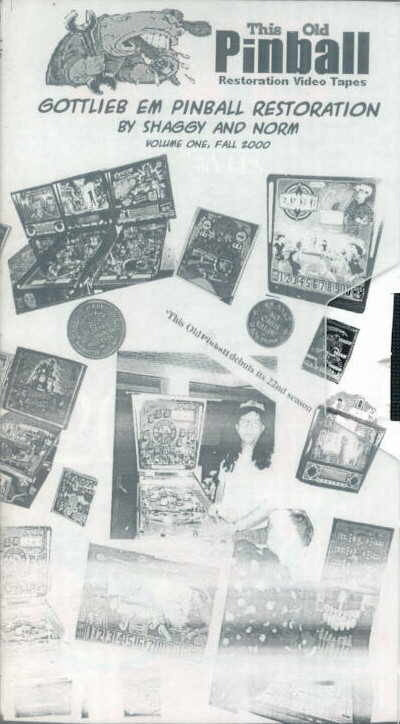 GameRoom Magazine is targeted for the collector of game room items. Subscribe today or sample some of the magazine online. Classic Gamer Magazine Because Newer Isn't Necessarily Better! View the current issue here! 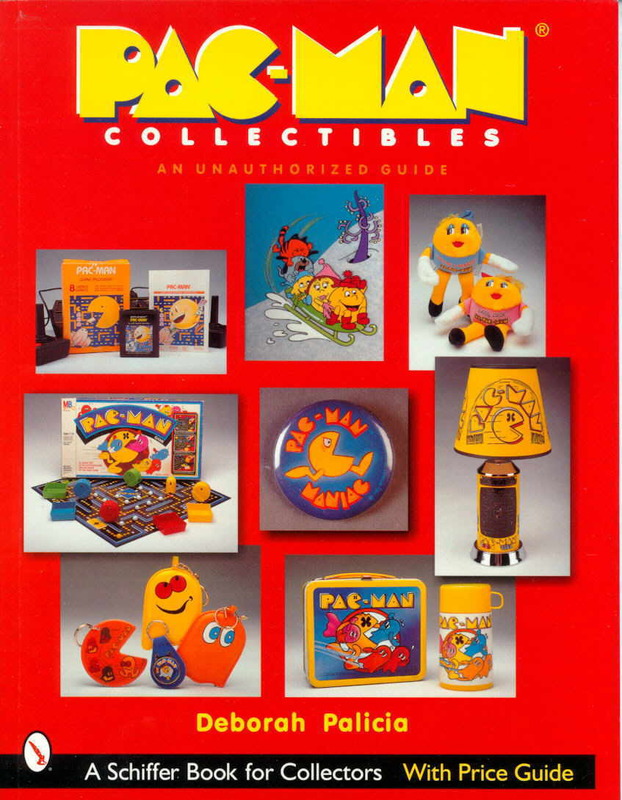 Who has the highest score in Pac Man?, Defender?, Tron? 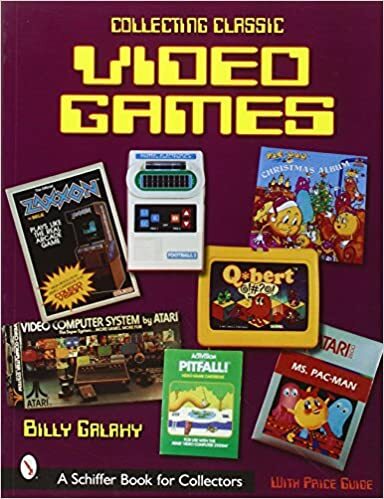 You'll find all the info here in the "Guinness book" of video game records It's Twin Galaxies! No other book is more personal than ones’ diary. Well here is my arcade diary that documents other arcade game I have come across in my journeys. Visits to other collectors houses, game rooms, classics found in hotels, Etc. I don't travel too often but when I do, I have my camera with me. 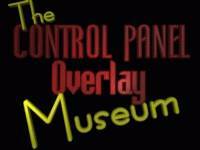 View my collection of Control Panel Overlays. You know The stickers that give you game directions and tell you which way to push the joystick. Side Art is in here too! Dangerous Dann’s Museum of Video history is a cool stop for info on rare games and collectibles. A quick picture page on my trip to see the biggest Video Game Museum in the world VIDEOTOPIA! All files marked as PDF files require Adobe Acrobat reader for PDF (Portable Document Format) files. If you don't have this wonderful product, click on this and get it now!. Most files here are maintained by myself to minimize dead links but sponsors of other linked manuals are listed here as well and may have their files compressed in other ways. If your computer does not support PDF files I can send you Xeroxed copied for a small fee. Here is a great story once posted on the Arcade news group involving an "accident" with a monitor. We all have had these "bad days of collection"
Here is a great story once posted on the Arcade news group that I found interesting. 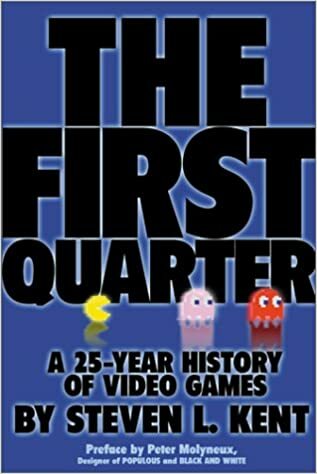 Back in the 80s when the video game craze was at its peek, there was talk about Mob involvement in the business. The following story sort of kills that idea.. or does it.. Here is another topic of conversation once posted in the Arcade news group on the topic of game moving. An Operator shares a story of being crushed! Arcade Help Another FTP Manual Area! 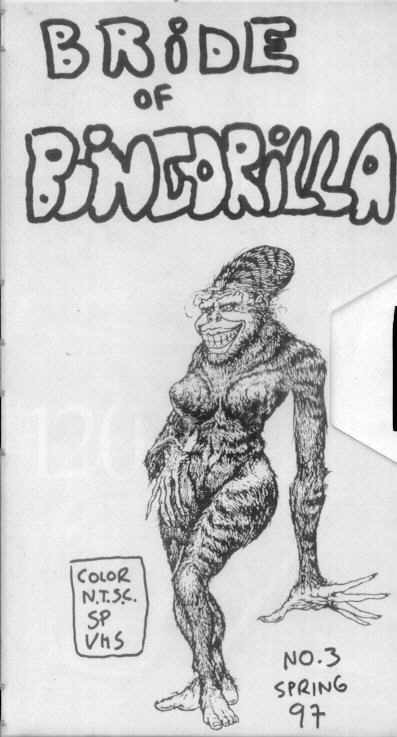 ARCade ARChive FTP area of TONS of pinout, art, graphics, manuals, movies etc. TV monitors FAQ I found this data real useful to trouble-shoot monitors. I hope you will to. arcades. It is considered the operator's bible.